As there's so many Christmas gift guides floating around at the moment, I thought I'd keep mine to a minimum this year. 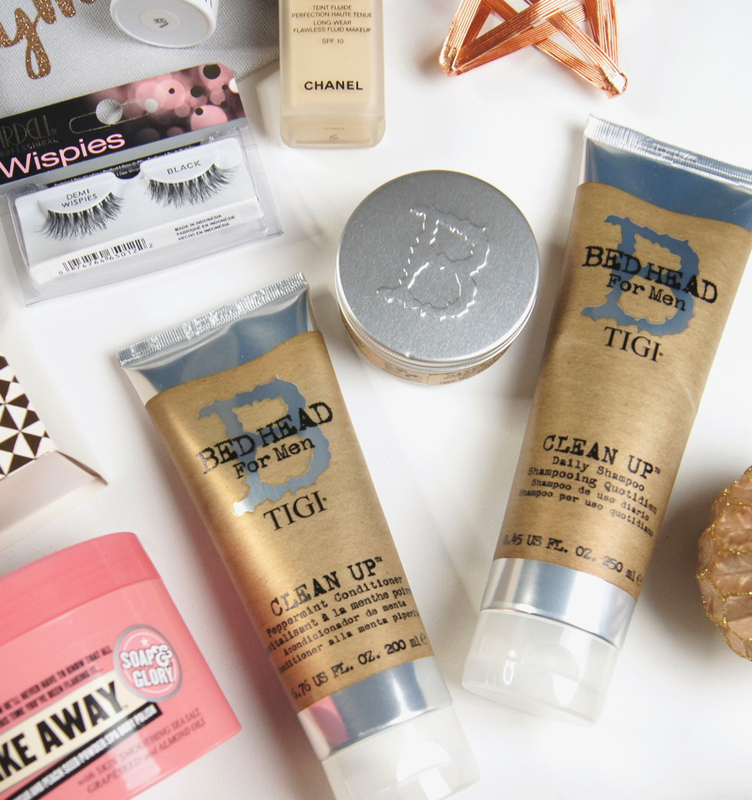 For the first of two last-minute gift guides, I thought I'd focus on beauty stocking fillers. Sometimes thinking of smaller present ideas is the most difficult, whether you're picking one low-budget secret santa gift or a stocking stuffed full of goodies. You can never go wrong with choosing some beauty bits, though. So, if you're in a quandary about what to buy, I have a few suggestions. As always, beauty gift sets are a great fail-safe option when you're struggling to think of ideas and Salons Direct have a great range to choose from. For anyone that likes to do their own at-home manicures, then the Nails Inc Hero Rose All Day Gift Set* might be a winner. Comprising of a base coat, top coat and two polishes from the famed brand, this kit has everything needed to create a beautiful finish on the nails. 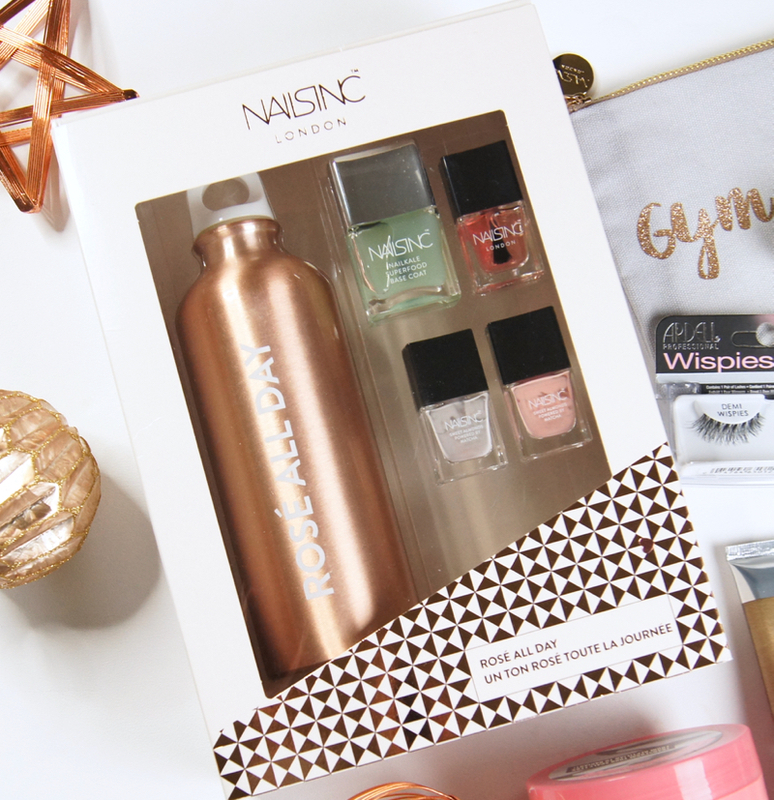 Plus, it comes with this gorgeous, rose-gold water bottle. A random addition, but one I'd love to use in the gym when attempting to stick to my New Year's resolutions! Whether you choose a fancy shaving set, some new skincare products or a couple of body bits, it's always nice to treat the guys to some fancier grooming essentials that they wouldn't necessarily buy for themselves. As my other half has been sneakily stealing my expensive shampoo recently (Oribe!!! ), I've picked up the TIGI Bed Head Man On Gift Set* for him this year, which includes a shampoo, conditioner and hair wax. I love the man-friendly packaging and the peppermint scent to the products. Even though he wouldn't admit it, my boyfriend is always secretly excited when he receives some grooming products in his stocking and this set is sure to go down well. 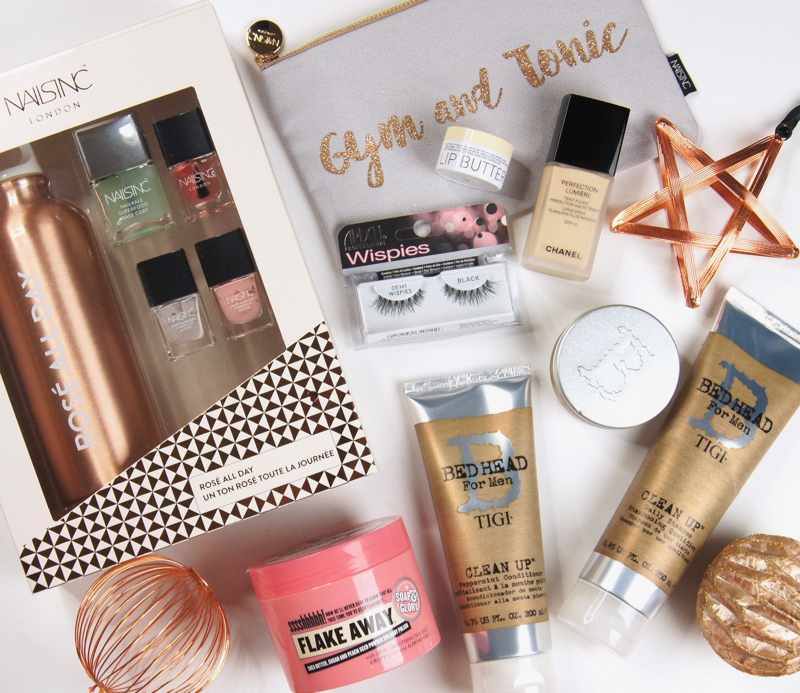 Every beauty lover needs somewhere to store their makeup essentials when on-the-go and the Nails Inc Gym & Tonic Grey Cosmetic Bag* is just perfect. It's the ideal size to fit in everything needed when travelling, without being so big that it's impossible to squeeze into a handbag. There's a few designs in the range, but with a G&T being my drink of choice, this one is by far my favourite. The bag shouldn't get ruined easily, as the canvas material feels quite tough and I love the mix of grey, glittery gold font and pink lining. Unwrapping some pampering products, like body butters, exfoliating scrubs and bath oils, always makes me happy on Christmas day. Soap & Glory are often a brand I turn to for smaller gifts, as their quirky, kitsch products are such high-quality and won't break the bank. My holy-grail product has to be their Flake Away Body Scrub, which is so indulgent and leaves my skin feeling better than ever. Packed full of shea butter and almond oil, it's a real treat that anyone will appreciate! I always like to buy some typical bedside table products as stocking fillers, as they're often essentials that everyone uses regularly and will be grateful for. At this time of year, everyone needs lip balm to prevent chapped, cracked lips from spoiling the festivities and ruining any chance of wearing a red lip! Some of my favourites are the Korres Lip Butters, as they come in lots of mouth-watering flavours and colours. Not only do they smell heavenly, but the nourishing formula really does work to smooth, soften and actively repair dry lips. 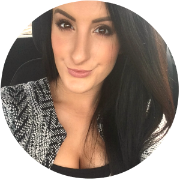 I often like to gift some beauty products that my friends and family can use to make themselves feel extra special on Christmas day itself and for the rest of the festive period. Chanel is a universally adored brand and I think everyone would love to find one of their luxe products under the tree. In my opinion, a Chanel Lipstick, Foundation or Mascara would make an incredible present, as long as you suss out which shade the recipient would match and the type of finish they'd prefer. If you're budget is stretched quite thinly, a cheaper option could be false lashes. The only pair I wear nowadays are the Ardell Naturals Demi Wispies Strip Lashes*, as they're so fluttery and flattering, but also easy to apply and comfortable to wear all day/night. Perfect for a busy day when you want to look great, but don't have time to constantly check your lashes haven't dropped off. Have you managed to finish all of your Christmas shopping for this year?